THP & Pukka Headwear have teamed up for an awesome contest! 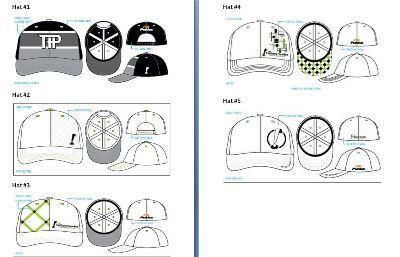 We have asked the THP members to design a hat that featured both the THP and Pukka Logo. 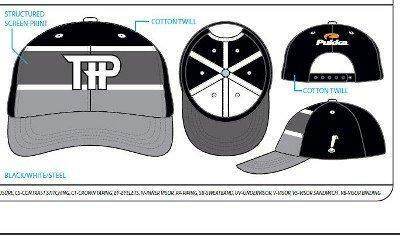 The lucky winner will have their hat featured in the THP Store and could even make it to a future Pukka Collection! You to vote on the THP Forum here and/or on the THP Facebook Page here. Good luck to all the finalists! My vote is in at THP and Facebook. Thanks to Pukka and THP! Took me so long to decide, each design is great! I know every one of these would make a great hat, especially with the quality of the Pukka product! These are awesome hats! I can’t wait to see which one wins! Great designs! I voted at THP and FB. Great contest. These are some really great designs! My vote is in! Voting done and done! Some excellent designs here! Well done THP members!! A big thanks to Pukka and THP for this awesome contest! None of the design really appeal to me, however, if possible, I think that a mix adding the flowing THP design of hat to the one of hat 4 (somehow in the criss-crossy beats) would be awesome and yes I’d buy and wear that. Is it too late for another design? all great designs and an awesome contest. hopefully enough interaction to get another similar contest going in the near future!